Serving the greater Tampa Metro Area, including Westchase, Fish Hawk, Pebble Creek, Ruskin, Riverview, Progress Village, Gibsonton, Key Vista, Town ‘n’ Country, Wesley Chapel, Lutz, Keystone, Northdale, Carrollwood, Lake Magdalene, Bloomingdale, Brandon, Odessa, Valrico, Plant City, Seffner, Temple Terrace, North Brooksville, Citrus Park, Mango, and the entire surrounding area. Free Consultation & Design Estimates in and around Tampa Bay, call 1-888-744-4954. 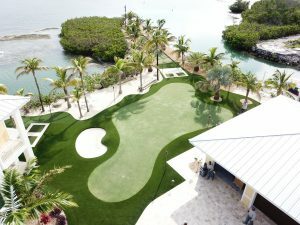 Celebrity Greens Tampa is the Authorized Dealer, Designer and Installer of Artificial Grass, Artificial Turf and Artificial Putting Greens for the entire Tampa Bay, Florida area. As the proven leaders in the artificial turf lawn market, Celebrity Greens only installs artificial grass products that are superior quality, long lasting and environmental-friendly. We’ve proven ourselves by installing thousands of acres of artificial grass and synthetic golf greens and we have the quality workmanship, experience and synthetic turf products that you are looking for. 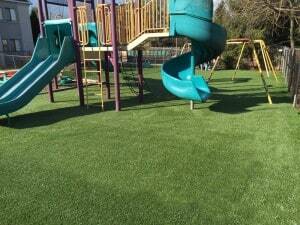 We offer only the highest quality, long lasting, and environmentally friendly artificial turf products available! We only offer the very best synthetic grass products available. We are partnered with the best manufacturers and international leaders in the artificial grass lawn industry. Our exclusive relationship allows us to offer you the varieties of synthetic grass products that meet the highest standard in artificial turf manufacture, longevity and durability – Our customers have peace of mind, a beautiful yard or putting green and we provide them with a manufacturer 8-year synthetic turf warranty. Our artificial grass is completely lead-free and comes with tremendous environmental benefits including requiring no mowing or fertilizing, our artificial grass installations will save the average home owners thousands of water each year. We install all sorts of sports surfaces, as well as padded playground surfaces, and we specialize in designing and installing the most advanced sand filled, synthetic grass putting greens available today. Our artificial putting greens can be installed indoors and outdoors. We offer a multitude of design features including sand traps, water hazards, custom lighting and many other amenities to excite the game of golf. Contact us today and let us work with you on artificial turf lawn, playground, sports surface or your own signature putting green. Celebrity Greens Tampa offers complete landscaping services, and we are proud to offer products that require very low-maintenance while remaining lush and green through every season and all weather conditions. Contact us today at 1-888-744-4954 for a free consultation!